Think back to the days before you started your business, when you were working for a boss. Chances are you were rewarded for your hard work with a regular salary. It may not have always been the same amount, but it came through like clockwork. And for the next week, month or however often you got paid, you’d do your best to make it last. But now you are the boss, and so you don’t need to be restricted to a set salary, do you? You can simply draw money out of the business whenever you need it, right? Wrong. As a business owner, here are seven reasons why you should pay yourself a regular salary instead of treating your business like an automated teller machine. When you first started working for someone else, you couldn’t ask the boss for more money whenever you ran out. All you could do was hold out until the next time you got paid. And having a regular income also made it easier to budget for your income and expenses, manage your money, and save up for a mortgage or investment. So why change now? It’s easy to think all the money sitting in your business’ bank account is yours. After all, it’s your business, isn’t it? It doesn’t matter how profitable your business is. If the money isn’t there to pay the bills when they’re due, your business is at risk of becoming insolvent (i.e. you have more commitments and bills to pay than cash or available funding to pay them with). Having sufficient cash flow is vital for any business. And it’s far easier to manage cash flow when you have predictable expenses you can plan around—including your salary. A growing business is a cash-hungry business. As it grows you may need to move it to a larger premises or invest in new staff or technology to grow your capacity. Even if you can keep a lid on your fixed expenses, your business may require an increase in variable inputs such as materials. And all this ties up cash. So whatever your growth plans, you’ll need enough money in reserve to fund them. And that’s on top of the money you need to keep the business running at its current level. As you can see, knowing exactly what cash is flowing in and out of your business, and saving as much of your profits as you can to build up your cash reserves, is important for a growing business. But if you keep ‘raiding the till’ whenever you’re short of cash, you’ll never know how much cash you have in reserve, or when you have enough funds to initiate the next stage in your growth plans. The lifestyle we lead is largely dictated by the amount of money we have readily available. So if your business does particularly well one week and the bank balance is up, you might be tempted to draw a little extra money and spend it on dinner at a fancy restaurant, a weekend away, a new ‘toy’ or some other indulgence. It’s okay to spend money in these ways if it’s a bonus for achieving a certain result or milestone in your business. But these bonuses should still be within the planned and documented salary and remuneration package the business pays you. If you’re not disciplined in this area, it doesn’t take long for these indulgences to become part of what you consider a ‘normal’ part of your lifestyle, and so you start drawing extra cash on a regular basis. And that’s not good for the health of your business. By living off a regular salary (and nothing more) instead, you’ll learn to live happily within your means, which is a key to building wealth. The tax department is used to people being paid a regular salary. It’s generally how things work. And by giving yourself a regular salary, you’ll be seen as just another salary earner and be more likely to fly under the radar. If, on the other hand, you start drawing large amounts from your business at irregular intervals, you may raise a few eyebrows with the governments’ tax auditors. And that’s never a good thing. 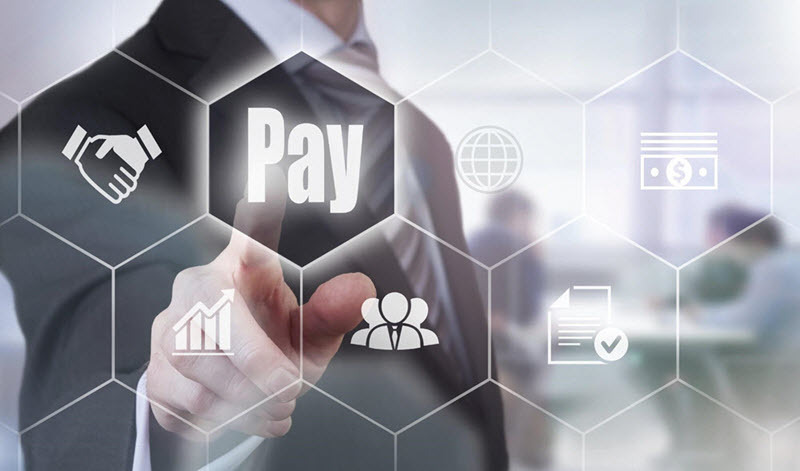 When wage and salary earners are paid, the employer must withhold and set aside a portion of their pay as tax, which is periodically paid to the tax office on the employees’ behalf. Your actions here could be building up a potential debt that will need to be paid at some point. And that debt could lead to severe cash flow problems down the track, especially when it comes time to sell the business. You’re much better off accounting for, setting aside and paying taxes as they fall due. It will not only help your business, but also the quality of your sleep. When it comes to assessing a person’s ability to service a potential loan, banks much prefer consistently earning wage and salary earners to sporadically earning self-employed business owners. The bank wants to know you can comfortably service the loan each month, and by paying yourself a regular salary you’ll have the payslips and bank statements to show a steady cash flow history. So the sooner you set this up in your business, the better. A successful business is a great way to accumulate wealth. But don’t disadvantage yourself by presenting a poor case to the banks when applying for a mortgage or other type of loan. As you can see, there are many good reasons to pay yourself a regular salary instead of continually raiding the till. The question is, how much should you pay yourself? Obviously you need to pay yourself enough money to cover your basic living and lifestyle requirements. The last thing you want is to be stressing about your personal finances, especially when you’re trying to make business decisions. But it’s not a good idea to pay yourself too much in salary—even if the business can easily afford the cash flow. Depending on your business structure, there could be more tax-effective ways to receive income from your business and this is a discussion you should have with your accountant. Every business and person’s situation is different in this regard, so it’s important to get one-on-one advice in this area. Don’t view this article as personal advice to you—it’s not. We’re simply opening your eyes to the many benefits of paying yourself a consistent salary as a business owner. The business’ projected profitability for the financial year. As you can see, it makes sense to get professional advice on calculating your salary as a business owner. We’ll help you work it out by taking into account your current business and personal situation. We’ll also set up payroll systems to automatically create and distribute the necessary tax-related paperwork each pay period. You enjoy being your own boss. Now it’s time to also enjoy being your own employee.